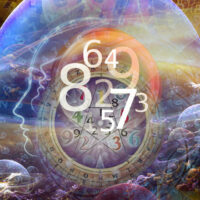 Occult Master has deep rooted roots in astrology & allied services on account of 20 years of personal experience & also 500+ years of family lineage. Today, we have a good number of genuine members associated with us. 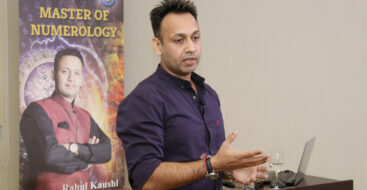 Pandit Rahul Kaushal is a well-known Celebrity Astrologer, his name is itself an assurance. The old player was one of the initial few astrologers on the panel of a very renowned website caters online consultations. Our ancestors have bestowed us with truckloads of information on occult yet due to the changes hitherto, not everything that is written works. We edify the exact methods that actually yield desired results. Once a student always a student! We don’t leave the hand of students even after the course completion and make the solution accessible the time they get stuck somewhere. Students appreciate this facility to a great extent. 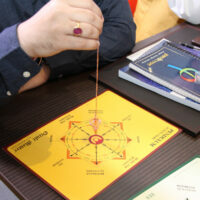 Occult Master is an educational division of “Pandit.com” owned and operated by Pandit Rahul Kaushal, a seasoned & eminent identity in the field of occult. Here we produce industry experts! Our vision is to provide students with the core professional and result-oriented courses in Occult Sciences that empower them to act/serve as true guides to the masses. We strongly believe in the doctrine of bestowing all we know to our students. Following this pattern, we have not divided our courses into basic or advanced categories. All our courses are comprehensive covering all the aspects from an amateur to a professional category. The range of courses we offer not only envelope the elementary part of the subject but also emphasize on developing the sub-conscious & balancing the body elements, the essential prerequisites for being called a successful practitioner. 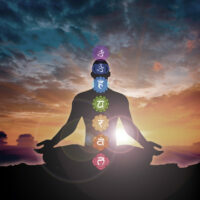 I have been in the field of Occult for the past 20 years and now I believe is the right time to deliver my knowledge & experience, we’ve taken care of each & every part while designing the courses, i.e.,the Body, the Mind & the Soul, so that one should be able to deliver quick results and become a professional in its truest sense. 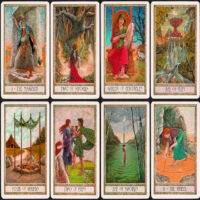 We believe in imparting knowledge on diverse subjects in occult so as to enable the student to pick whatever suits him best or use a combination of all because we teach how to connect one subject with the other. We promote realistic learning more since involvement of practicality is the ultimate way to fit a concept in one’s mind in an appropriate manner. Encouraging the same, we invite our students for monthly online group meets to share the gained experience as well as to widen the knowledge area. This is the foremost rule our entire system works on. We teach what we use for own business. We provide students with the most recent information that is practically being used by the experts in recent/real-time to perfectly rule the industry. The entire course content has been smartly compiled in the book/tool form. The same material is utilized by the expert during the presentations/seminars. The course material is accessible to students without additional charges. As our car needs wheel alignment after every 2000 Kms, so is our body. Focus of this course is to teach how to do it yourself. Easy to understand sessions i.e. English, hindi, Urdu, Punjabi. Course Delivery : The mode of course delivery is classroom training. We are working on the online/live webinar model as well. The course would be imparted in whatever language the seekers understand English,Hindi, Punjabi, Urdu or even Hinglish. Free Updates : The only thing constant is change so we believe in updating our students by sending bi-annual newsletters for no additional charges. Private Panel : We provide individual account panel/log-in secured with a password at occultmaster.com whereour students can access all tools, news, masters, forums etc. Promotions : All the participants will be promoted using our social media platforms or pages having more than 1 lac followers & members. Video/Audio Archive: We give you regular access to our video and audio archives so that whatever missed can be revised or learnt through the archive section.